Listen To M.A.S.K. 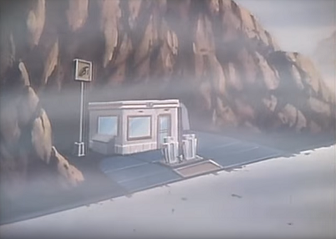 Audiobooks Online - Agents of M.A.S.K. Remember reading and following along with audiobooks as a kid? I remember owning a few Read-Along Adventures books that came with a story book and an accompanying 45 record. They included He-Man & the Masters of the Universe and Scooby-Doo, but I never had any M.A.S.K. audiobooks. 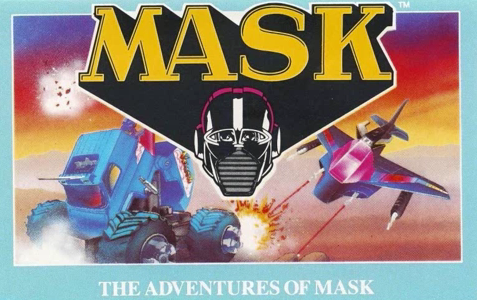 Well, a recent discovery on YouTube led me on a hunt to find what M.A.S.K. 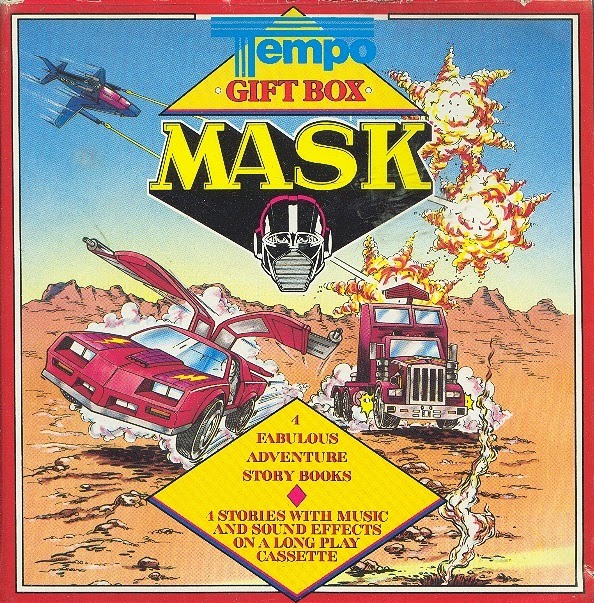 audio books were released in the '80s. I previously knew that a Mission: Meteor story book existed, because I was able to purchase one a couple years ago as I began my own collection of memorabilia. I assumed more were released but never really researched what was available until now. What I found out this past week was a YouTube video featuring the audio to my storybook! Thanks to YouTube users Fang1701 and Der Lauscher Treff, and the website Discogs, I was able to piece together the following M.A.S.K. library of audiobooks. It appears most of the English versions were released in the U.K., but Discogs also shows my book as being released in the United States. I also found several released in Germany and a couple in France. 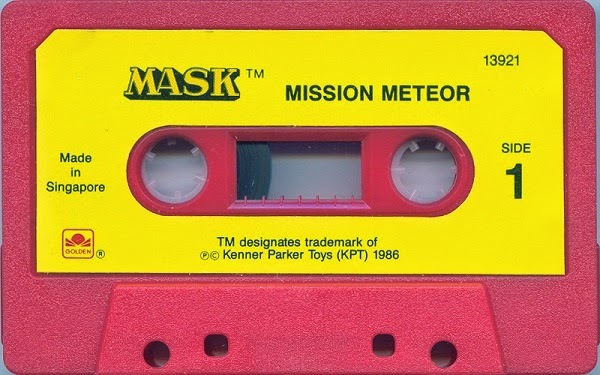 Mission: Meteor was released in 1986 under the Golden label. The story book came with an audio cassette featuring the story on side A and "record your own story" on side B. Most of you will recognize this story as an adapted version of episode 1 "The Deathstone" from the animates series. A fourth story was titled "Double Double Cross," but could not find it online. The next series of stories comes from a collection released in the U.K. in 1987. 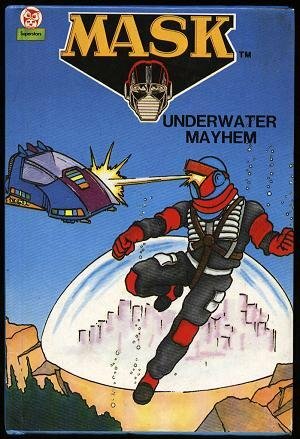 The Adventures of M.A.S.K. audiobook contains four separate stories that apparently were also released as hardbacks. The stories seem to be spliced from different hardback collections, so maybe one of our U.K. agents can share some more information on this particular audiobook. 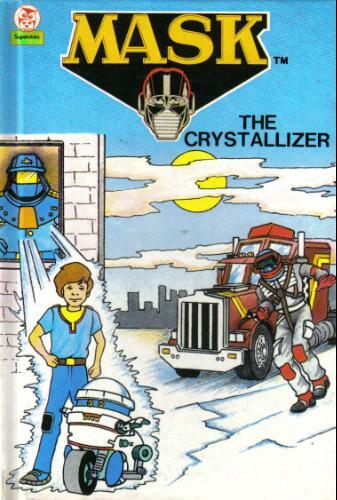 The stories include "The Crystallizer", "Underwater Mayhem", "Robots of Mayhem", and "Mayhem's Monster Madness." 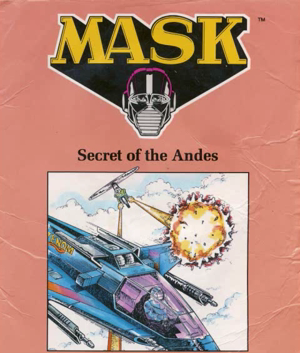 Also available is Secret of the Andes which was produced in the U.K. in 1988. It also is an adapted version of cartoon episode 26. I couldn't find much information of this audiobook and wonder if more were produced based on cartoon episodes. The covers featured in this German collection are very unique and can be seen on the Discogs website. I plan to pin the images to our Pinterest page. The 2nd release was a two story cassette titled 2 Histoires featuring "Mission Destruction" and "The Complete Infamy of V.E.N.O.M." I couldn't find these available online, but thought I'd share the info via the Discogs.Com website. Feel free to add any I missed and would appreciate your help to fill in the gaps I noted above.